Winning Caption: "Does anyone remember where we parked the car?" 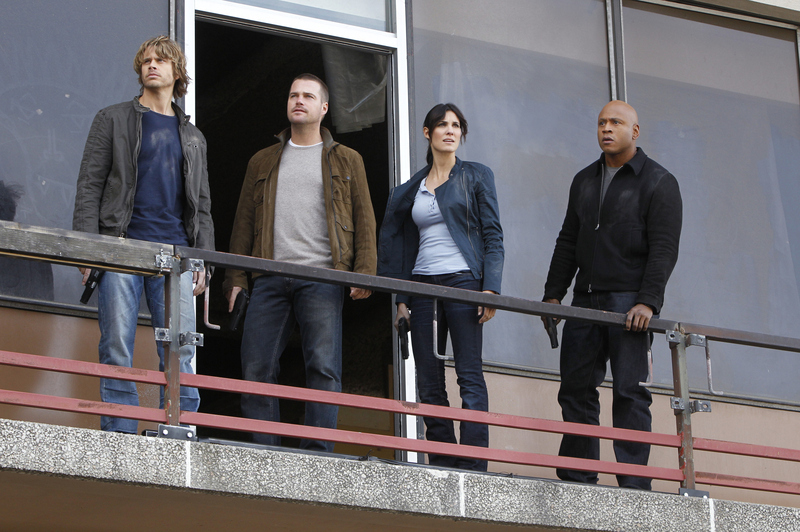 Deeks (Eric Christian Olsen), Callen (Chris O'Donnell), Kensi (Daniela Ruah) and Sam (LL COOL J) must track down a culprit tied to the Sudan case when a vehicle transporting Jada Khaled is ambushed, on NCIS: LOS ANGELES. Photo: Sonja Flemming/CBS ©2011 CBS Broadcasting Inc. All Rights Reserved. Winning caption by Laura H.